Natural range Southern Canada (Rocky Mountains and easternarea), C and W USA, and Mexico. Habitat Lakes, ponds, rivers. Usually live in deep layer. Range in Japan Tonegawa River System, Kasumigaura, Kitaura, and Biwako Lakes,　Shimane Pref, Fukushima Pref, Gifu Pref, Aichi Pref and Gunma Pref. Origin Imported from California, USA. Route Deliberate: For aquaculture, and for pet animal. 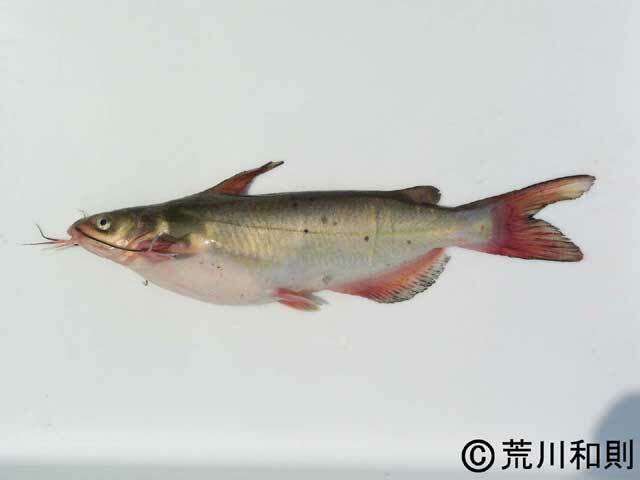 Impact Actually: Predation on aquatic species such as fishes shrimps, in Kasumigaura Lake. Native organism(s) affected: Small fishes, lake prawn, etc. Regulation in Japan Import, transport and keeping are legally restricted in Japan. Introduced range in other countries Philippine, Uzbekistan, Armenia, Russia, Italy, Bulgaria, Mexico, Puerto Rico, Hawaii, etc.